Grant and I love Spanish food. For years, we have dreamed of traveling to Spain to experience all the amazing food and wine first-hand. While living in Seattle, we settled for celebrating special occasions at one of our favorite restaurants, Harvest Vine, and shopping for all of our favorite Spanish ingredients at the Spanish Table down near Pike Place Market. Grant learned to make an incredible Paella from an old Spanish man who he knew through his wine job way back when. 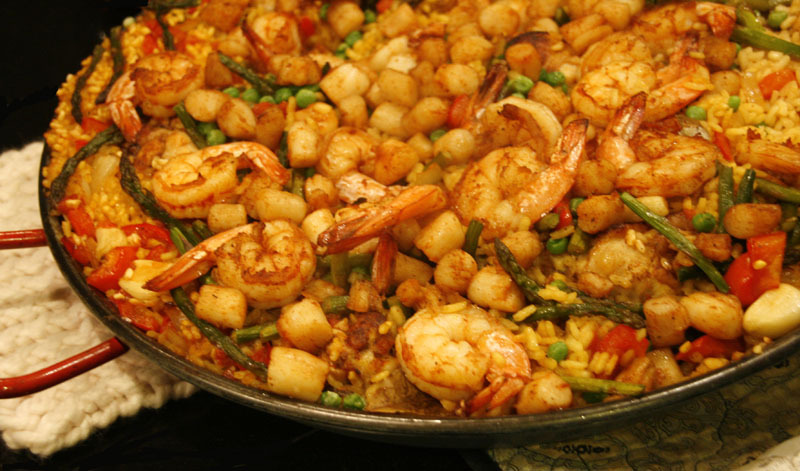 Now, living here in middle Tennessee, we still dream of our future trip to Spain and enjoy a Paella feast from time to time made with ingredients we’ve either ordered online, had friends bring to us, or scraped together serendipitously through various trips all over town. A couple years ago we stumbled upon an Anthony Bourdaine episode in which he was in Spain, enjoying the grilled Spring onion festival with a family in the countryside. 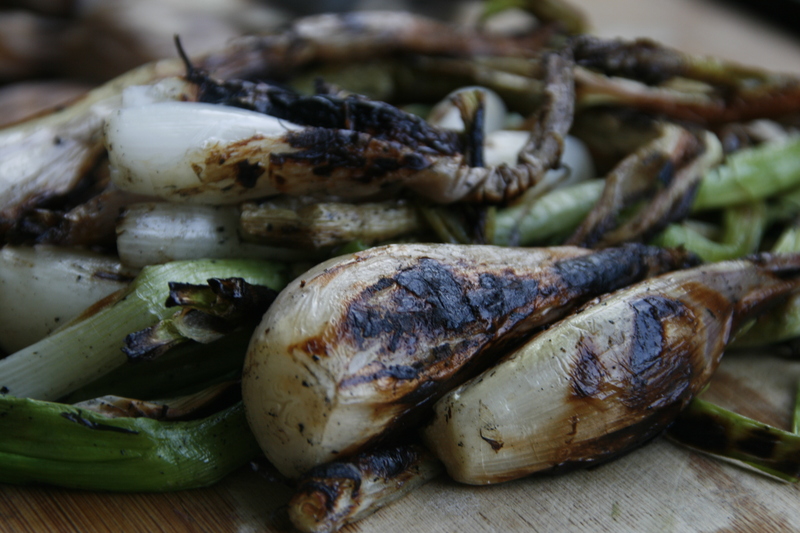 We were reminded of this last week as we grilled up a bunch of vegetables, and decided to throw some spring onions on. 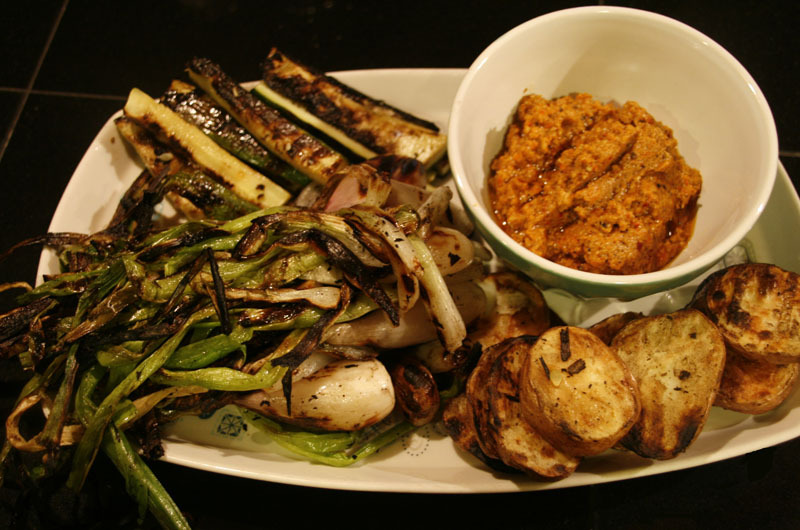 As we tasted them, we were immediately reminded of our friend, Bray’s Romesco Sauce and thought that would be the perfect dipping sauce for the sweet grilled onions. This is one of Bray’s most famous dishes so I immediately contacted her for the recipe. Meanwhile, the spring onions had run their course and were no longer available at the farmer’s market but we found some red scallions and some green onions and we made it work! We also grilled some potatoes and zucchini to enjoy with it and decided to grill the red peppers for the Romseco instead of using jarred roasted red peppers which the recipe originally called for. Here is our adaptation of Bray’s recipe which she originally adapted from an Epicurious recipe. Finely grind almonds, bread, garlic, red pepper flakes, and paprika in a food processor. Add grilled peppers, vinegar, and salt, then purée, adding oil in a slow stream. Add a little water to thin out (because grilling the peppers makes them drier). We found the sauce to be so versatile- delicious as a dipping sauce but also amazing on sandwiches, over pasta, as a bruschetta topping, and as a side dish on top of grilled potato rounds! YUM! Speaking of sauces, we had a major heat wave this week and suddenly, our poor little raised bed garden was in danger! I saw the basil begin to shrivel up so I picked a bunch of it to save it and made a couple different pestos. I made a classic walnut one with the Genovese basil and with the Thai Purple basil, I combined it with a little lemon basil, cilantro, garlic, red pepper flakes, sea salt and olive oil for a Thai sauce. Not yet sure exactly what we will make with it but I think it would be great as a marinade for a grilled chicken satay, a start to an Asian salad dressing, or to top a piece of grilled fish. 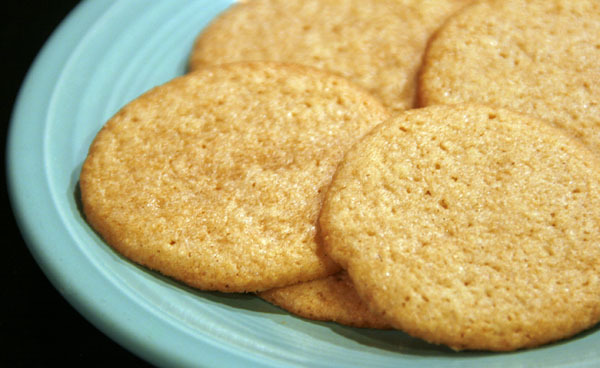 I’m going to make some more of those homemade Vanilla Wafers this weekend to enjoy with some homemade Peach Ice Cream!!! Preheat oven to 350. With a mixer, mix sugar and butter together until creamy. Add egg and vanilla and mix. Add the flour, salt, and baking powder. Mix. Refrigerate for about half an hour. Roll dough out to ¼” on a well floured board. Cut with a small cookie cutter. Bake in a 350 degree oven for about 12 minutes. Let cool on the cookie sheet and they will crisp up. 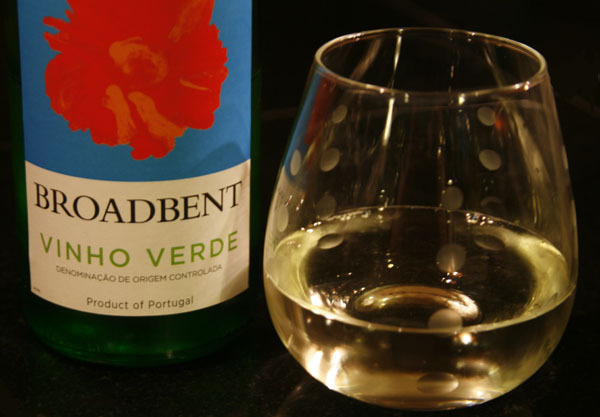 And I close with this little tip- Vinho Verde helps keep you sane during the heat wave!